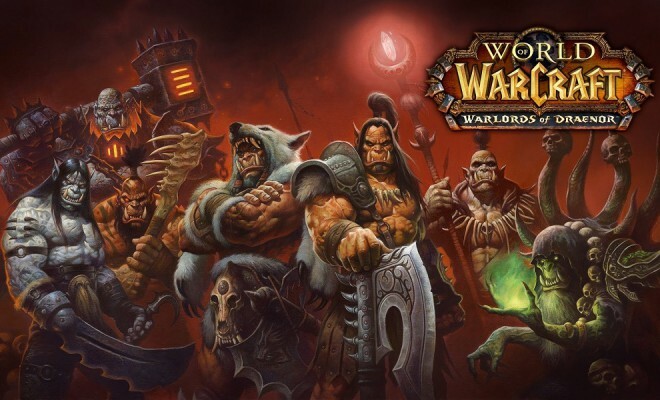 Following the release of the highly anticipated Blackrock Foundry raid on February 3rd, Blizzard’s dropping the first big patch of the Warlords of Draenor expansion this coming Tuesday. 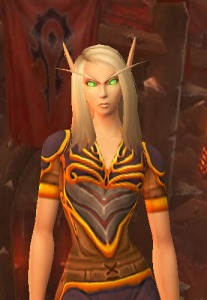 The expansion included a complete overhaul of World of Warcraft’s original models, adding some much-needed texture and animation updates to the game’s early 2000’s models. Due to time constraints, Blood Elves were left out of the update process – as of Warlords of Draenor Patch 6.1, we’ll finally be seeing their model updates. The changes are subtle, but at least now they’re worthy of their reputation as Azeroth’s Next Top Model contestants. Blizzard’s other ‘main’ content addition is Twitter integration, a decision that’s gained a lot of backlash from those who find the feature unnecessary. Players can send tweets directly from the in-game interface after enabling the function, allowing them to insta-tweet any achievements, screenshots, or recently looted items. The S.E.L.F.I.E camera comes bundled with Twitter integration, introducing Blizzard’s version of the selfie stick for your toons. It even comes with three Instagram-like filters and its own achievement. Heirloom collection serves as a breath of fresh air for older WoW players with banks filled to the brim with heirlooms – level-scaling items that increase leveling speeds by adding a bit of experience gain to each piece. 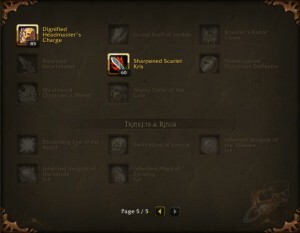 Previously, heirlooms were bought and mailed across characters to whoever was being leveled next, which led to the occasional lost heirloom piece or unnecessary bank clutter. 6.1’s heirloom update adds a collection tab that dumps them in one place , and you’ll no longer have to buy a set for every character you level. Players who manage to collect 35 heirloom pieces get a faction-based mount as a reward. Finally, Blizzard will be adding colorblind support in the new patch, improving game experience for those with visual impairments. 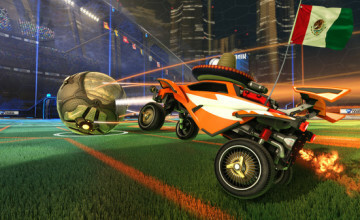 The patch will add an Accessibility section in the interface configuration, giving players the option to enable “UI Colorblind Mode” and adjust the filters accordingly. Although Blizzard has announced that they may change their decision to disallow flying in Draenor at max level, this feature will not be included in Patch 6.1. Other features include new Darkmoon Faire games and rewards, profession and garrison tweaks, more toys, and a new legendary follower.